Monitor asset health with a continuously growing range of powerful wireless connected iQunet sensors. 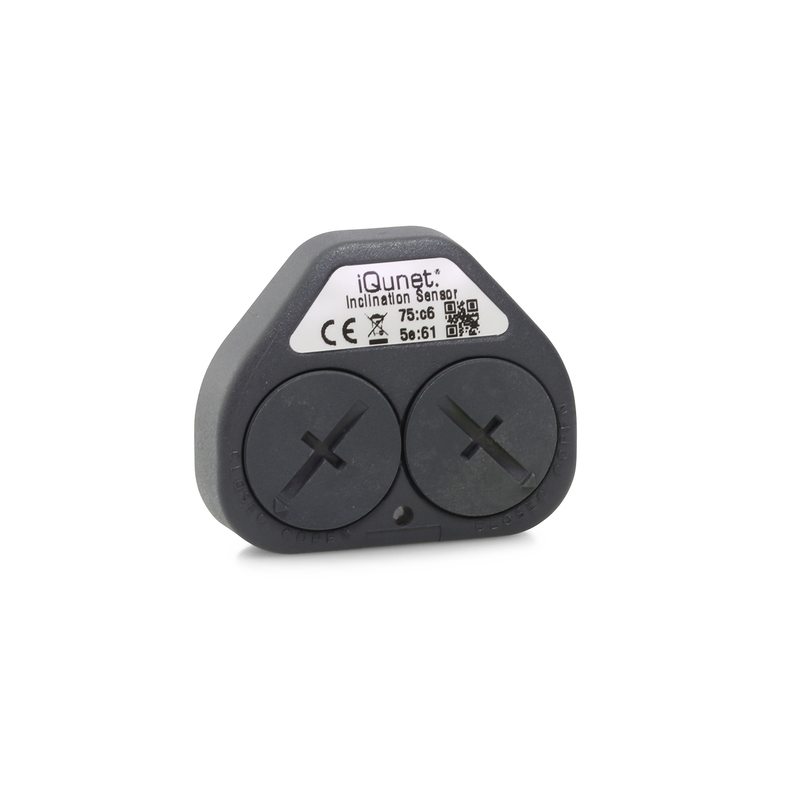 Connect an unlimited number of iQunet sensors. Extend the reach of iQunet wireless sensors for even greater coverage. Extend the reach of iQunet wireless sensors and create in-plant warnings with direct impact. Make your own data work for you anywhere. Compute “in the edge” not in the cloud for ongoing data capturing, even when disconnected from the network. Connect to the iQunet server from anywhere, follow-up live data, and change sensor settings remotely. Collect plant data and share it reliably and securely within your enterprise. Create sample reports in a second and review them in Sheets or Excel. The fully documented iQunet APIs give you the power to get the exact data you demand. Powerful developer tools help you to tailor the data to your needs. Use the Node-RED programming tool to connect iQunet hardware devices and create online services in new and interesting ways. You can also build stunning dashboards from sensor data. The wireless and battery-operated iQunet sensors can be mounted on machines, rotating equipment, and other important assets within an industrial plant, or on walls inside work and livings spaces. A network, which navigates around obstacles and through walls, is formed automatically by the sensors. A small DIN-rail mounted iQunet server continuously analyzes and optimizes the network to create the most efficient paths and to balance the load across available paths. The base station is the central node of the wireless network and can easily be attached to the wall or cabinet with the accompanying clips. It is powered by a standard micro-USB connection from the small iQunet DIN-rail server. It can serve an unlimited number of sensor nodes within the wireless range due to the powerful iQunet network protocol. Reliability: even in the presence of interference, the network provides 99.9% end-to-end reliability in challenging radio environments. Security and privacy: network communications are secured through industry-standard authentication, encryption, and verification practices to ensure the highest level of security. Effective power management: extreme low power consumption assuring long battery life. iQunet intelligent sensors have a microcontroller onboard and run innovative and outstanding stable embedded firmware. The iQunet optimized wireless protocol is based on the most recent standards to reduce communication overheads to a minimum, while maximizing data payload. Thanks to the ‘iQunet sleep mode’ current consumption is extremely low (<1µA) resulting in an outstanding battery life time of many years. All sensors can be triggered wireless or set in burst mode at a programmable interval. All sensors return data including device temperature, signal strength within the wireless sensor network, battery power status, and current firmware and hardware version which guarantees seamless compatibility with later versions. Industrial sensors are mounted using an M3 screw and epoxy adhesive between the sensor back and the machine surface. This keeps the antenna area free and allows access to the battery compartments. The network components and building sensors can be easily clipped to a cabinet or wall, providing maximum installation flexibility. As soon as the batteries are inserted, the sensor is activated and makes contact with the nearest base station. Starting the web-based wireless sensor dashboard enables you to address, rename, manage, and tune sensors. You can also schedule them to start collecting measurement data. All information is gathered in the local database of the DIN-rail mounted iQunet server and fully open addressable via the OPC UA embedded server. The very intuitive web-based wireless sensor dashboard software can process user requests for ‘live’ data. It can also export the data to third-party analytical software or to Sheets or Excel for quick analysis.